Are you finding awesome Best jailbreak tweaks for iOS 8 running in your iPhone and iPad. We know the jailbreak area and Cydia Expanding with millions of new tweaks in just short of time, So we always failed to cover the boundary and find best new tweaks didn’t wrap to you. But here is the top best newly added jailbreak tweaks with source/ Repos, That’s you have to use it in your Jailbroken iPhone and iPad running on iOS 8/ iOS 8.1.2. Lock screen Cydia tweaks: Top 5 best lock screen Cydia tweak for iPhone 6 – iOS 8. 1. StopSend: Very useful Best jailbreak tweaks for iOS 8 message Cydia tweak which you want to send, This app will disable send button option when autocorrect enable on your device settings. 2. BiteSMS and Messages+: Using this tweaks in your jailbroken iOS 8 device, you can do reply in fastest way from any iDevice screen. Now you can call, reply from single popup option. 3. iFile: For your jailbreak iOS 8, iFile helps to manage all operation without leaving app, Using this app you can edit any files, rename files and Copy paste operation job easily. 4. iBlacklist: Jailbreak Cydia apps in iOS 8 for block call coming on you as a known and unknown number. This app gives very unique features for block call as a white list or black list category. 5. LockSpeed: Do call directly from locked iPhone, iPad screen. Using this Cydia tweak you can call up to 9 contacts from lock screen. Just swipe left on locked screen and dial call from speed dial extra screen. 6. Auxo: Get latest preview of any apps that running in your iOS device. Using this app you can save lots of time to check individual apps process and live data by opening it manually. New iOS 9 features apple manage multitasking on app very impressively. 7. Zephyr: Without jailbreak and this app, you can’t set your home button double click in to single click. In short you can manage it by swapping up your iOS 8 screen for iPhone and iPad. Longer swipe up screen will close current app automatically. 8. 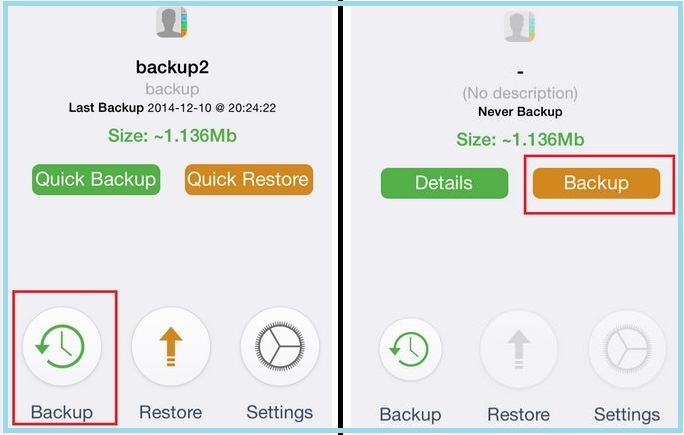 BackupAZ: This Cydia tweak keeps up to date backup in your device under the /var/mobile/Library/preference/BackupAZ. Under this path you can get backup of all Cydia app back files and setting. 9. Air Traffic Control: are you hesitating from AirPlane mode alert when you are accessing app from iPhone and iPad in Airplane mode. 10. Cropping Screen: are you finding way of take screen shot for selected area? Then this is the best app for snap selected area or full screen shots. For selected area press home button + lock button and select Area with figure. For full screen simply tap on home button only. 11. 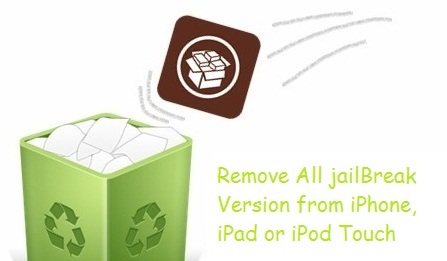 PrefDelete: Easy way to delete or uninstall Cydia app from jailbreak iOS device. To remove or delete app go to the setting and press and hold name of tweak that you want to delete it. You might also like: Steps for Jailbreak iOS 8/ 8.1 using pangu in Mac Yosemite [How]. 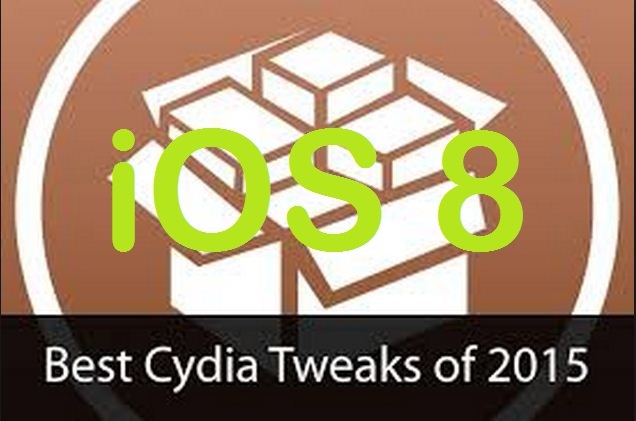 All are the Cydia tweaks are very useful in Best jailbreak tweaks for iOS 8 in iPhone, iPad. For more tweaks and updates for your jailbreak iOS 8 device, join our group or share your thought in comment box.